These Sai feature 440 stainless steel construction with black finish. They feature a comfortable imitation leather handle and are great for display and practice. They feature a comfortable imitation leather handle and are great for display and practice. The Sai is a Okinawan weapon. The sai was a simple farm instrument which the peasants turned to their advantage once they were forbidden to carry any arms. 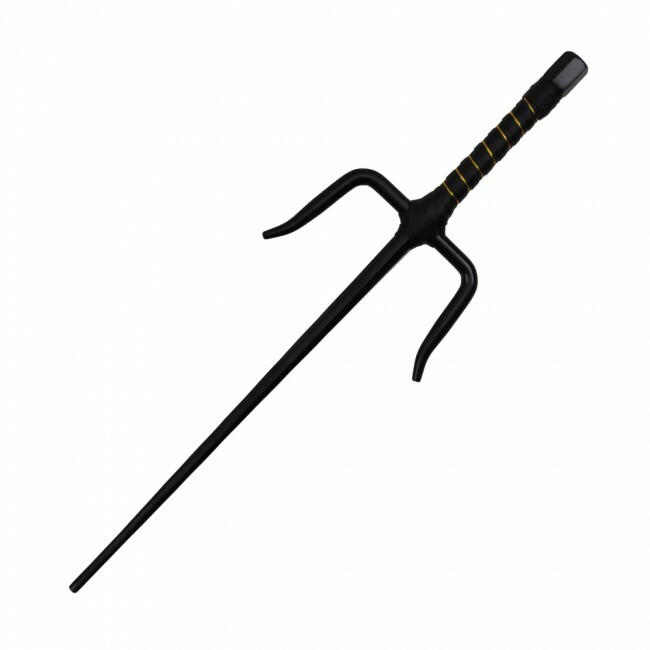 Today the sai is blunted and rounded at the edges and is no longer used as a weapon for mortal combat. Perfect for any necessary use! Great sais for any necessary use! I have already learned how to use them!